We are considered as a one stop solution to provide hassle-free US FDA Certification Services / US FDA Registration Services. These services are highly trusted by most of the customers. Our professionals make sure to render these services in strict compliance with the industry standards and norms. These professionals undertake all the certifications responsibilities in an organized manner. Moreover, we make sure to offer these services within the committed time frame in order to meet the requirements of the customers. We offer US FDA certification services in Delhi, India. We are US FDA certification agency, which provide services in different part of India from Delhi, Mumbai, Kolkata & Chennai. US FDA Registration Services Food and Drug Administration (FDA or US FDA) is an agency of the United States Department of Health and Human Services, one of the United States federal executive departments. The FDA is responsible for protecting and promoting public health through the regulation and supervision of food safety, dietary supplements, prescription and over-the-counter pharmaceutical drugs (medications), vaccines, bio pharmaceuticals, blood transfusions, medical devices, electromagnetic radiation emitting devices (ERED) and veterinary products. CDG is a FDA-regulatory compliance company specialized in helping non-U.S. based companies in the food, beverage, dietary supplement, drug and medical device industries who sell their products into the United States. Under U.S. law, foreign-based food, drug and medical device companies are required to register with the FDA and appoint a "U.S. Agent".We are committed to helping foreign-based companies with their FDA registration questions and issues, and focus our expertise and services EXCLUSIVELY on clients located outside the United States. We maintain legal and regulatory consultants on staff to provide our clients with critical information and updates on FDA activity, the Food Safety Modernization Act, and other relevant U.S. food, drug and medical device regulations. FDA Food Registration (Bioterrorism Act) is required for both domestic and foreign facilities that manufacture, process, pack, or hold food for human or animal consumption in the United States. The owner, operator, or agent in charge of a facility, or an individual authorized by one of them, may register that facility. All the Regulatory Registration functions of the Departments of the Indian FDA - CDSCO & NPPA. The overseas FDA Product Registrations in the major Export destinations of india. The facilitation of an entire range of Clinical Testing studies required for any FDA registration in india and abroad. Food products rank among the most heavily regulated goods in U.S. commerce. All food imported into the U.S. must meet the same requirements for food safety and food labeling as food produced within U.S. borders. These requirements are very complex. U.S. Food Imports shoulders the burden of navigating complex FDA requirements so you don’t have to. For foreign companies importing into the United States, a U.S. registration agent is required. A registered agent acts as a registered address of the corporation in the U.S. and provides this registered address for the receipt of service of government filings – and sometimes legal documents - and acts as a liaison for government agencies. We are a leading organization of the industry, dedicatedly engaged in offering an optimum quality array of FDA Certification Services for our esteemed customers. 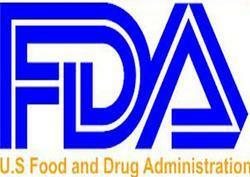 We help companies to achieve US FDA registration for exporting their products to the USA. Our service is rendered by our talented professionals as per the industry quality standards.